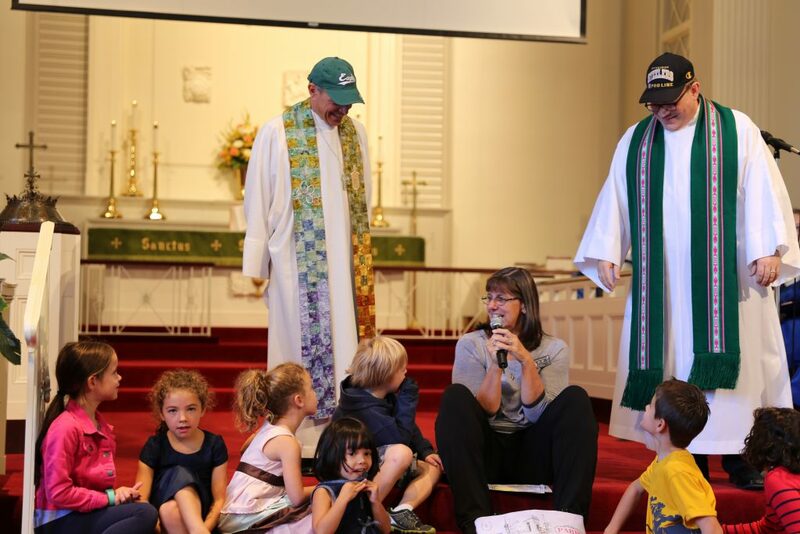 Schol joined the congregation to celebrate the 50th anniversary of Respond Inc, a charitable nonprofit in partnership with the church that has unleashed the love of God in the city of Camden for five decades. The church, which was in the midst of exploring a series about love in action, took a Sunday to celebrate the impactful work of the nonprofit created by community residents to enhance and promote the economic independence and general welfare of individuals and families in Camden. The mission of Respond Inc has been carried forth in the provision of comprehensive services in child care, a senior adult center, programs for the homeless, rental housing and home ownership, youth services, employment, economic development and associated programs that help people help themselves. Drawing from the Bible verses of 1 Timothy 6:18-19, Schol praised the congregants for continuing to give of themselves, encouraging a “just give it away” attitude regarding generosity. Created through a joint venture of residents of the North Camden community and Haddonfield UMC in 1967, Respond Inc assigned Dr. Stanley Menking as a Minister of Mission from the church to meet with the community and survey needs. Childcare for parents who were in school or training for employment became the highest priority. Led by Executive Director Dr. Wilbert Mitchell with the help of Menking and Dr. Charles Sayre, former senior minister at Haddonfield UMC, Respond Inc was set into motion. Haddonfield UMC Pastor Chris Heckert introduced Mitchell, who briefly addressed the congregation before Bishop Schol’s sermon. He said he would lead Respond Inc for another 50 years if he could. The organization has provided childcare services for approximately 50,000 infants and children for 50 years including generations of families. They have successfully provided the educational foundation for children who have gone on to become teachers, lawyers, nurses, and business professionals. Through their culinary arts job development center, Respond Inc has trained approximately 44 students annually with 75% of graduates gaining employment. Additionally, Respond’s automotive technology training program and repair shop have partnered with Subaru of America to provide internships. When Robert Moore signed up for the culinary arts job training program at Respond, he was homeless and jobless. Now he lives in transitional housing and works as an assistant manager at Five Guys restaurant in Moorestown. Bishop Schol used Respond Inc’s example to encourage the sharing of gifts, money, and time. “Nobody earns the love of a disciple,” Schol said. “We love because God first loved us.” Schol spoke on how a mindset of scarcity and a feeling of being a ‘self-made’ person hinders generosity. He shared memories of cutting lawns as a youth and earning a decent wage in the 1970s but reminded the congregation that although he was a hard worker and appeared “self-made,” behind the scenes his parents had given of themselves to provide and help him along.